Sewing Machines are generally "Sit Down and Sew"
Sergers are not the same. Take time to first READ THE DIRECTIONS and learn some basics so you do not break it right away by using it incorrectly. When you request to join our Facebook group – these tutorials need to be done before we accept your membership request. 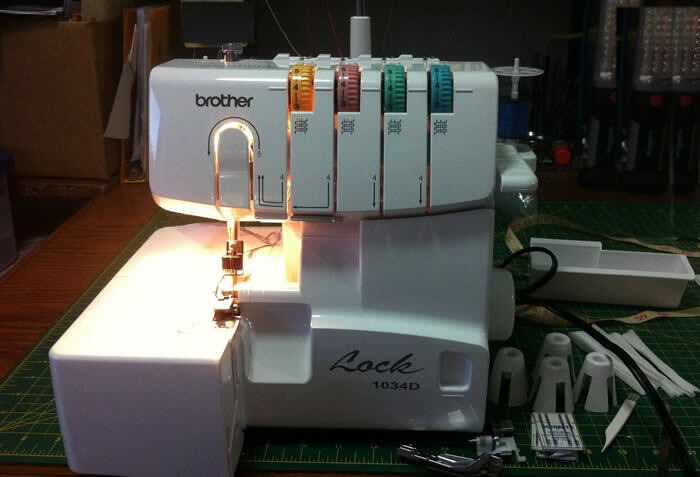 We have over 18,500 members, we have the largest most active Brother Serger user group on the internet and we cover most all models of Brother Sergers. This is not a traditional CHAT group - our group is just focused on Help and Tips for how to use your serger. Note "Thank you for the add" posts are auto-deleted. Do not invite friends to join, if they want to join they will do the tutorials and request to join if it useful for them to belong. To keep the group useful for most users, these are the things you need to know and become familiar with before joining and posting. Posting photos of your Work In Progress or Completed Projects go in the Weekly Serger Showoff Thread posted each Monday, not in the group main feed which is for Troubleshooting and Tips - the central purpose of this group. The Serger Showoff Thread is not for marketing, sales or promoting your website, videos or blogs, it is just for showing you work. Add your photos as a reply to the post that states it is this week's Weekly Serger Showoff Thread.